With each passing day, we advance closer to the rapidly approaching Week 1 kickoffs. 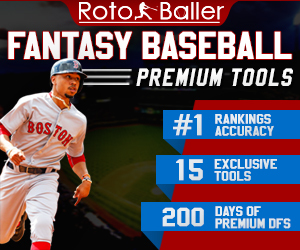 Even though many owners will devote much of their remaining time toward becoming heavily involved in the construction of rosters for their redraft leagues, a massive number of you have also remained passionate about building lineups in the tremendously popular Best-Ball format. 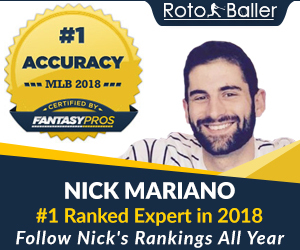 Here at RotoBaller, we remain dedicated to providing abundant resources to those of you who have maintained your involvement in MFL10 leagues, in order to boost your chances for success when participating in these remaining drafts. While you understandably place great emphasis on determining which players to select during the early and middle rounds, the decisions that you make once the draft has progressed into the later rounds can also determine whether your team will remain competitive throughout the year. 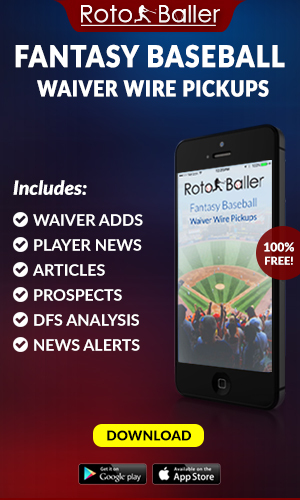 This is particularly true since you will not have the benefit of a waiver wire in the Best-Ball format. But you could be rewarded significantly if the players that you select in later rounds exceed their projected output, as that could sustain a favorable scoring total if players that you secured earlier are sidelined by injuries or consistently deliver underwhelming production. Here are 10 late-round fliers that should be available beginning in Round 11. The 10-year veteran had averaged 4,094 yards and 25 touchdowns heading into 2016, before he finished as the QB2 in fantasy points, while experiencing what was easily his most prolific season (4,944 yards/38-7 touchdown-to-interception ratio). While he was named NFL MVP after generating exceptional numbers in every major category, his career averages prior to 2017 presented a clear indication that those results were destined to be an outlier. However, owners demonstrated extreme confidence in his ability to manufacture similar results by selecting him in Round 6 of their 2017 drafts. While that resulted in massive disappointment due to his eventual output (QB15/4,095 yards/20 touchdowns), the disproportionate response during this summer's drafts has been equally excessive. Even though Kyle Shanahan will not be returning to the Falcons to concoct his schematic wizardry, Ryan will be spearheading an offense that still ranked eighth in both passing and total offense last season with Steve Sarkisian calling plays. He will also be operating with a potent collection of weaponry (Julio Jones/Devonta Freeman/Tevin Coleman/ Mohamed Sanu/Calvin Ridley/ Austin Hooper). Not only is he a safer option than a cluster of signal callers that are being drafted as QB2s, but he can also provide QB1 production throughout much of the year. The majority of owners have dismissed Carr as a viable option this season, as memories of his substandard 2017 season have lingered (22 touchdowns/ 3,496 yards). Yet, he is just one year removed from a QB10 finish in 2016 (28 touchdowns/ 3,937 yards), during which a broken fibula in Week 16 left him just 63 yards short of a 4,000-yard season. He also finished at QB14 in 2015 (32 touchdowns/3,987 yards), although both of his promising seasons have been largely disregarded. But Carr's struggles were a consequence of Oakland's overall disintegration on the field, under a coaching staff that was overmatched and incapable of resuscitating the season. Carr should now be revitalized by Jon Gruden's newly implemented offense, while also being prompted to elevate his proficiency amid Gruden's relentless prodding. While this includes improving his footwork and accuracy, Gruden will also amend last year’s unoriginal play calling. According to Pro Football Focus, Carr ran play action on just 14.0 percent of passing plays, which was the third-lowest in the league. But he should capitalize on this year’s improved strategic approach and is worthy of selection before his present ADP. It is always wise to avoid over-reaction to comments from coaches and unfortunate attempts at ‘click bait’ during the month of August, as this creates the potential for owners to unnecessarily overdraft or bypass players when making their draft selections. However, Carson’s meteoric return to the fantasy landscape has been legitimate. Rashaad Penny’s hand injury has accelerated his ascension, but Carson has also been Seattle's most effective during the preseason, and his ability to outperform Penny has elevated him into the RB1 role. The former seventh-round draft pick had become a forgotten commodity during this offseason. But he had performed impressively early in 2017 while overtaking Eddie Lacy and Thomas Rawls for the team's lead back role. He continued to run proficiently (4.2 YPC) until a broken leg prematurely concluded his season in Week 4. This recommendation to select Carson is not a suggestion that Penny will be a bust, as I fully expect his involvement to increase during the year. However, Carson is gifted and can sustain a sizable role - if he remains healthy. 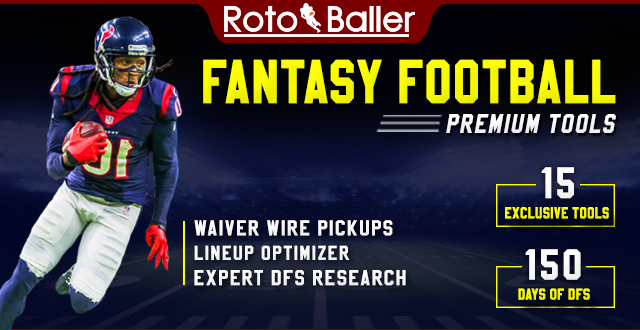 He will be the recipient of a significant workload when the regular season launches, and he provides you with excellent value at his 11th round ADP. Potential owners should strongly consider Murray among their late-round options, as his credentials as a former 1,000-yard rusher (2015-1,066), combined with his track record of reliability as a goalline option to provide evidence that he can deliver favorable production when he is given the opportunity. Murray has accumulated 20 touchdowns since 2016, including eight last season with Minnesota. The Vikings used him frequently inside the red zone, as he finished with the fifth most rushing attempts inside the 20-yard line (48), along with the 10 (22) and the 5 (13). He also averaged 74.5 YPG during his last 10 contests, while rumbling for 75+ in six of those games. While the reappearance of Dalvin Cook will prohibit Murray from maintaining an extensive workload, it is hardly preordained that he will be relegated to the minuscule role that many have anticipated. He could easily retain responsibilities as a short-yardage specialist, who commandeers a majority of goalline carries. Cook’s touch total could also be managed in order to preserve his health. Murray’s pathway toward weekly relevance actually contains fewer obstructions than some backs that are being drafted before him, and he is a justifiable late round target. Barber's ADP clearly indicates massive disinterest by potential owners, despite growing evidence that he will enter Week 1 with a considerable workload. Head Coach Dirk Koetter has been effusive in his praise for the 5'11", 225-pound Barber, who has averaged 5.3 YPC while performing as the Buccaneers' primary back during the preseason. Meanwhile, second-round selection Ronald Jones labors in the midst of a formidable growth process, has struggled as a receiver and pass protector, and has managed a paltry 0.92 YPC against backups. Barber led Tampa Bay with 423 rushing yards last season - 335 of which were assembled from Weeks 13-17 - as the third-year runner took advantage of his opportunity to operate in the lead back role during those five contests (15.6 attempts per game). He is now primed to inherit similar responsibilities when the Bucs travel to New Orleans in Week 1. As Ronald Jones continues his painful learning curve toward functioning effectively as an NFL running back, Barber gradually becomes more entrenched as Tampa Bay's RB1. Which could theoretically continue well into the season. Golladay generated 69 yards and two touchdowns during Week 1 of his 2017 rookie season. But a lingering hamstring injury sidelined him for five games, and he ultimately was limited to 48 targets during the year. However, he is now primed to capture an expanded role as a downfield difference maker in Detroit’s offense. To be clear, Golladay’s ascending 2018 role may not diminish the responsibilities of Marvin Jones or Golden Tate as integral components in the Lions’ passing attack. But even if Golladay is not utilized in two-receiver sets ahead of Tate as he has been during the preseason, that is not necessary in order for his production to rise. At a minimum, Detroit will deploy the 6’4” Golladay extensively in three-receiver sets, and his combination of height and speed will compel the Lions to allot him a large percentage of the 86 targets that are now available for re-distribution following Eric Ebron’s departure. The increased target total, combined with his potential to explode for huge gains, makes Golladay a wise investment at his present ADP. The names of Charger teammates Mike Williams and Tyrell Williams are not only adjacent on the team’s WR depth charts, but they are also being drafted as WR62 and WR63 in current MFL10 drafts. Earlier this summer, Tyrell appeared to be a superior option for owners despite his statistical regression from 1,059 yards and seven touchdowns in 2017 to a less inspiring 728 yards and four scores last season. But there is growing justification for anointing Mike Williams as the preferred late-round flier. The Chargers’ 2017 first-round selection only surpassed 30 snaps once during his rookie year, as a protracted back issue dramatically impacted his season-long contributions. But the 6’4” Williams has a large catch radius that should expedite his development into a recurrent red zone weapon for Philip Rivers. Williams has an excellent chance to finish second in red zone targets behind expected team leader Keenan Allen. That would raise his significance to your roster far beyond his current perceived value if those opportunities result in the accumulation of touchdowns. This could result in substantial dividends in exchange for the deployment of a 14th round pick. Once your draft has advanced beyond Round 13, you will encounter a plethora of options that may look remarkably similar in value. But these choices should not be underestimated, because players that you choose from that point forward could bolster your team’s point totals during the season, and conceivably help propel you to a league championship. Kirk provides the potential to become a resource for your roster, even as the rookie’s prospective workload is currently undefined. His ADP currently is languishing in Round 17, yet he has a genuine opportunity to capture WR2 responsibilities with Arizona if he continues to perform capably during the preseason. His reliable hands and route running acumen appear to be helping him disentangle from the other receivers that are competing for a secondary role behind Larry Fitzgerald (Brice Butler/J.J. Nelson/Chad Williams). He should eventually garner a sizable role in the Cardinal passing attack, which would place him in position to fortify your weekly scoring during the season. The other receivers that are available at that point of your drafts do not offer the same level of upside, which should be sufficient motivation for you to target him for the nominal investment of a 17th round pick. Cleveland appeared to have an abundance of options at the wide receiver position earlier in the offseason. But Josh Gordon's ambiguous situation, and the decision to jettison Corey Coleman, have altered that landscape. Jarvis Landry can now be expected to confiscate a massive number of targets, and Gordon might still emerge as a major factor in the offense. But Njoku should also be the recipient of a burgeoning role for the Browns this season. The former first-round pick should escape breakout from the restraints of a timeshare that confined Njoku's usage to a virtual split with Seth DeValve (531/49.7% -501/46.9%). Njoku did lead the Browns with red zone targets (9) and receiving touchdowns (4), and could pace the team in both categories again. Increased targeting will also boost his chances of exceeding last year's reception (32) and yardage totals (386). Njoku is currently the 14th tight end to be selected, and anyone who is presented with the opportunity of securing him in Round 13 should absolutely do so. Throughout the summer, Watson has been my favorite sleeper among tight ends that can be found in the later rounds of drafts, as his situation presents an enticing blend of ability and opportunity. This should provide a recipe for consistent production at a position in which that is often a rare commodity. But even as the ADPs of other undervalued players have gradually ascended into a loftier region of most drafts, Watson's ADP has remained stationary. Not only did he finish at TE11 in 2017 (79 targets/61 receptions/522 yards), but during his most recent season as a Saint (2015), he resided at TE7 after flourishing in Sean Peyton’s offense (110 targets/74 receptions/825 yards/6 touchdowns). He now returns to New Orleans, with only Josh Hill, Michael Hoomanawanui, and undrafted rookie Deon Yelder behind him on the depth chart. Yet, he still remains available late in Round 14, while less proven (Ricky Seals-Jones) less productive (Austin Hooper) and less reliable tight ends (Vance McDonald) are being selected before him. Considering the problematic nature of this position, owners should seize this proven veteran, who should thrive once again within the dynamic offense of the Saints. 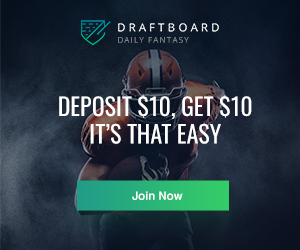 Rookie Roulette - Which Rookie WR to Draft First?